Based between Bristol and Bath, Valley of Bath produce truly bespoke furniture, kitchens and architectural joinery. All of our commissions are built with you and your lifestyle needs as a foundation, we offer design advice and can produce HD photo quality imagery. We work with only the very best materials and paints available. Experienced in using traditional methods both in construction and finishing we are very proud of all our beautiful products, attention to detail and customer service being our upmost aim. We are family business, undertaking variety of projects. with over 25 years of experience in construction industry and tailored approach we would be happy to work for you. Our core sectors of expertise are carpentry and joinery services. On top of that we offer general building services and custom projects. Bath Bespoke Joinery Co – A small, friendly business offering bespoke bookcases across Somerset. We are a small, local, company with over 30 years of experience in offering an individual joinery service. We specialise in hand crafted, fitted furniture that is made to measure and finished to the highest standards. We pride ourselves in creating solutions, working in harmony with your living space. Whether a Georgian, Victorian or a contemporary, ultra-modern, property, we will work in sympathy with your requirements to maximise your space. Carpenter and furniture design for both commercial and residential work, free quotations and full design service available. I work closely with an electrical specialist, plumber, stone mason and joiner so any large scale work can be completed in house and to the highest standard. As much care and attention is payed to smaller commissions and the same attention to detail will be of upmost importance. Working closely with clients, Vamp Industries aim to craft products with a timeless quality, subtle details and a strong aesthetic. A multifaceted studio based in the centre of Cardiff, we specialise in the design and build of furniture for residential and commercial spaces. Our extensive experience includes building bespoke dining room furniture, industrial-style coffee tables, and sideboards that provide a wow factor to a hallway. Give us a call to discuss how we can create a unique piece for your home! Established in the late 1980’s, Westwind Oak Buildings is a family run business that has established itself over the years as one of the leading companies in the oak framed buildings industry. Westwind employs a number of highly skilled craftsmen who combine a strong understanding of traditional carpentry and medieval techniques with an appreciation of vernacular and modern design. With over eighty years worth of cumulative oak frame carpentry experience between us, our clients can be confident of excellence at every level. Oak framing has been with us for many hundreds of years, and with increasing demands for sustainable living, oak is an ideal building material. If looked after properly, an oak framed house can last many hundreds of years, far longer than the time taken to grow the trees used in it. 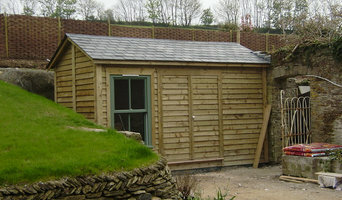 Hillside Joinery specialise in bespoke joinery and carpentry services for domestic and commercial clients. They manufacture all their products in their workshop near Bristol and then install them themselves, ensuring continuity of quality from start to finish and offering a personalised, reliable service. With over 45 years combined experience in the joinery and carpentry industries, Hillside have a reputation for their attention to detail and for creating high quality, unique products. They listen to the needs of the client, whether for their home or business, and work with them to bring their vision to life. Hillside specialise in domestic and commercial kitchens, restaurant fit-outs, bars and back-fittings, staircases, reception areas, shopfronts, smart space storage, windows, doors, bi-folds and conservatories. With their broad expertise and experience working with an impressive range of materials, Hillside create products to suit the style and space of clients’ homes or businesses. From contemporary, industrial, Scandi, traditional or rustic, Hillside can adapt, combine and finish materials to create the look that you require. Their range includes woods such as oak, ash and MDF as well as pre-manufactured timber and purpose veneering. The team are also fully trained to manufacture and install a range of solid surface materials including glass, mirror, copper, steel, zinc, aluminium, composite stone, marble, granite, laminate, egger, polished concrete, Hanex, Encore, Corian M-stone and Avonite. Protecting the environment is extremely important to the Hillside team and they work hard to reduce waste and recycle materials; they use FSC certified timber and sustainable materials wherever possible. With Hillside you can be sure that carpentry and joinery projects will look amazing, function perfectly, make your life easier and add value to your home or business. Timber Designs creates bespoke woodwork to your specifications. From doors to staircases, windows to kitchens we can produce any of your requirements. With over ten years experience working as a joiner I started working for a small company in Ascot, Somerset. 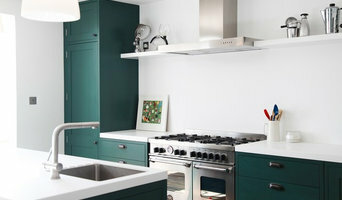 I went on to work for Chalon producing high quality kitchens until I started my own company, Timber Designs. Thank you for your interest in House Martin Carpentry. My name is Martin Roscoe and my business has been established since 2002. 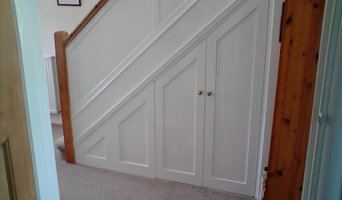 I aim to deliver a high quality and flexible carpentry service to customers who appreciate and value good craftsmanship. I specialise in domestic carpentry, kitchen fitting, sash window refurbishment, decking, Victorian Restoration and general maintenance. In addition, I have developed a wide skill set such as painting and decorating, wall and floor tiling (BAL trained), Auto Cad computer aided design, wood treatments, including waxing and staining, and basic plumbing tasks. I have also forged links with other specialist tradesmen who can be brought in to assist in larger projects if necessary. This can save you the trouble of calling in and coordinating several different services, and will ensure projects are taken through to completion with the minimum amount of time delay. I am happy to provide estimates and quotes, or to work on an hourly basis, and since I am a sole trader I am able to keep overheads to a minimum and offer competitive prices. Many of my customers return time and again with new projects and I am proud of the good reputation I have built up over the years. No matter how large or small the job - fitting a new kitchen or simply putting up some shelves - I get enormous pleasure from working with wood and from maintaining a high standard of workmanship. When deciding whether to employ a joiner or carpenter in Bristol, it is best to pick your professional according to their experience on projects similar to your own. For example, installing bespoke joinery such as a staircase involves significant structural work and you might want to work with a carpenter in Bristol with considerable experience in bespoke staircase joinery. You will often find you need to employ both a carpenter and joiner on a single project, and some firms will offer both skillsets which can simplify your overall hiring process. Where can I find a good Bristol carpenter or joiner? 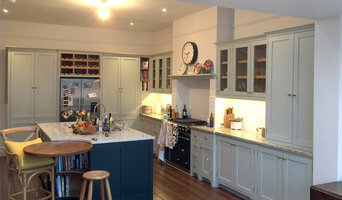 On Houzz there are many professional Bristol carpenters and joiners that specialise in providing a full carpentry service or bespoke joinery in Bristol, whether dealing with fitted or freestanding, traditional or contemporary furniture. Simply search for a joiner or carpenter in Bristol in the Find Pros category, then add images of designs that you like to an Ideabook and contact those on your shortlist. If you need reassurance beyond photos of their work and reviews of previous clients, then you might check to see if the carpenter or joiner is a member of The Institute of Carpenters (IOC), The Guild of Master Craftsmen, the British Woodworking Federation (BWF) or the Federation of Master Builders (FMB). Each asks its members to meet a certain level of expertise and abide by a code of conduct. Have a face-to-face consultation – basic brief and image references in hand – see which joiner or carpenter in Bristol is the easiest to get along with and who best understands what you’re trying to achieve. How long have you been a joiner or carpenter in Bristol? 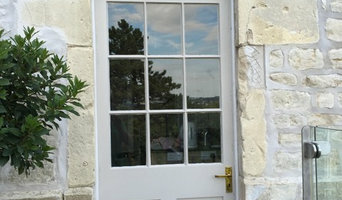 Do you offer bespoke joinery in Bristol as well as standard carpentry? Find a carpenter or joiner on Houzz. Narrow your search in the Professionals section of the website to Bristol joiner and carpenter professionals. You can also look through photos of woodwork and bespoke joinery in Bristol by style to find a design you like, then contact the joiner or carpenter in Bristol that worked on it.